Cerise Hood is wearing a top, circle skirt, and cape. Francie is wearing a top, flared skirt and belt, and puff sleeves. 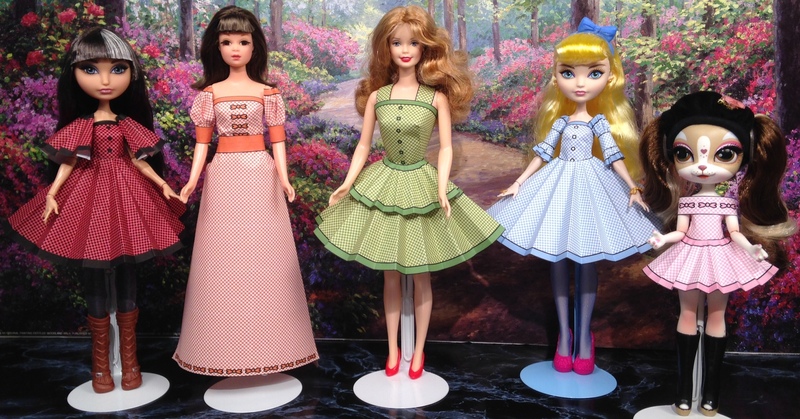 Barbie is wearing a top, circle skirt with small circle over skirt, and shoulder straps. Blondie Lockes is wearing a top, circle skirt, and middle puff sleeves. Pinkie Cooper is wearing a top, small circle skirt, and wrap around collar.